It’s no secret that working out can be tiring, intense, and sometimes only yields results after months of hard work. Busy schedules and the simple desire of convenience drive the market in our culture. Every demographic and age bracket wants effective, safe, and natural alternatives that enhance their lifestyles and boost productivity. Creatine is a supplement that does just that. BioThrive Sciences offers creatine supplements to those interested in promoting their brand and company with proven products. Known for its fast results, creatine is by far one of the most notorious supplements on the market for body builders, athletes, health enthusiasts, cyclists, and gymnasts alike. Creatine exists in the body as creatine phosphate, a naturally occurring compound. This compound maintains adenosine triphosphate (ATP) levels in the cells relating to brain and muscle function. While preexisting reserves of these compounds exist in the body, more is often required for optimal muscle contraction and prolonged energy. Through supplementation, adding creatine to the diet can boost workouts and help the body recover or prep for any exercise. Supplementation with creatine replenishes the body with the natural substance it needs for strength, endurance, recovery, and muscle mass – necessities for those looking to obtain the best workout and the results that follow. Creatine can be taken before or after any intense activity, as it is beneficial for muscle fiber creation. Additionally, creatine diminishes growth restricting molecules in the body. While exercise and working out are synonymous with creatine, it has many other additional benefits when taken as a supplement. Creatine also aids in brain performance and preventing health conditions like heart failure and some neurological diseases. It is one of the safest supplements on the market, allowing consumers at any fitness level to partake – including those living with Parkinson’s, epilepsy, spinal trauma, and more. Supplements for this product are popular in powder form – great in smoothies or shakes – but are also available in capsules or tablets. BioThrive Sciences offers our clientele a variety of options in the way of forms, ingredients, and design. We create each product with your company’s brand, audience, and quality in mind. Our excellent team works directly with you, so every aspect from marketing to supplement shape is exactly the way you envisioned. Our all-in-one facility ensures your product never goes into the hands of another brander, labeler, or manufacturer. From early discussion with our team to packaging and shipping to your chosen locations, manufacturing supplements has never been easier. 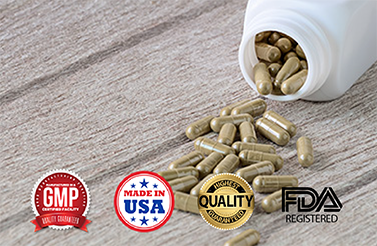 Our caring and professional team works directly with you and the on-staff nutraceutical experts to maintain quality that exceeds the GMP standard. No order is too big or small, and our customer service team is always happy to help. To learn more about our services, products, process, or for general information, please call +1-844-263-3657 or send a message online!